His name is Gordie and he’s about 9 years old. 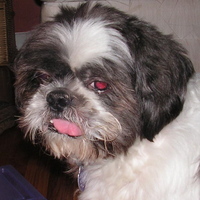 He’s a black and white Shihtzu and weighs about 20lbs. He’s very cute, the pictures don’t do him justice because he’s camera shy and turns away every time I try to take a picture. He’s very good with people, young and old. He loves to be cuddled, take walks and ride in the car. 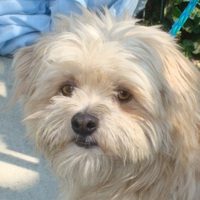 His family can’t keep him any longer so Muttville will help in finding him a new home! Poor, sad Bojangles, he has not been treated so well, till now. He came to a shelter, matted, stinky and afraid. We gave him a bath today, so no more matts or stink, he wagged his tail, too. 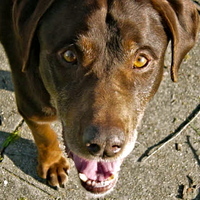 Bojangles is old and slow walking and is looking for a nice warm and loving space to spend his last months or years. loves to be cuddled and brushed. 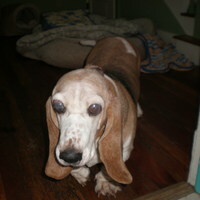 Papa is a beautiful big bassett boy, he has glaucoma and other health issues and seems uncomfortable. Papa likes being spoiled and he sure was while he was here at Muttville. The vet helped us in making the decision to say good-bye to Papa, he was suffering and he went peacefully- while being held and petted, to the big puppy playground beyond, We will miss you papa! Now that Baron has had a bath, a meal and a nap, his personality is starting to shine through. He is a gentle soul with a playful spirit. He loves to be pet and hugged, and he gives kisses in return for your tenderness. He just wants someone to love him, and will stay close to your side when you show him kindness. Hi, my name is Pickles. I was a stray in Monterey County and was a matted, unhappy little boy. I was probably neglected most of my life. I am about 12 years old and I think I am pretty cute now. 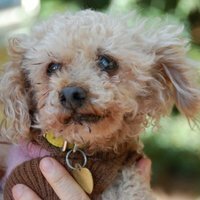 If you want a grouchy old poodle to share your life, check me out! What a sweet pooch, he has been badly neglected but a good samaritan brought him to us. Barack is mellow, sweet, and on his way to a better life. He is, like his namesake, full of grace with earnest eyes. We think Barack is about 9 years old, he weighs about 50 pounds. After much loving care and many trips to the vet, it was determined that Barack’s quality of life was going down hill fast and euthanasia was the humane choice for him. He went peacefully with his loving foster dad by his side. We will miss this soft, sweet boy. 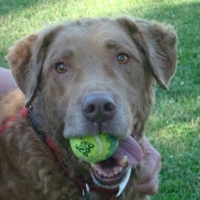 Sweet Coco is a snuggle bug, she is great with other dogs and loves people. She is housetrained and knows some commands. Her foster mom says she is just about the “perfect” dog. and we just didn’t get along! I pretty much ignore the other dogs, I LOVE to swim, too. 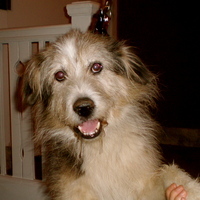 What a sweet, scruffy little guy, very happy and loves everyone. 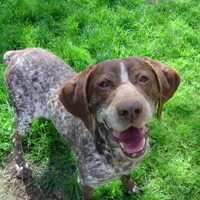 Chevelle is about 8 years old and was dumped at the shelter. Unfortunately, chevelle has been diagnosed with a inoperable neurological disease, he did get to spend his last days living in a loving home and being a normal dog. Who wouldn’t want to wake up and see that happy face? 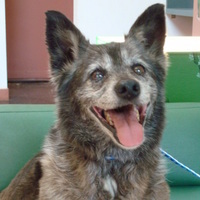 Gatsby is a wonderful and mellow older girl. She was picked up on the streets in Oakland and nobody came for her. She is a darling, a shelter favorite. 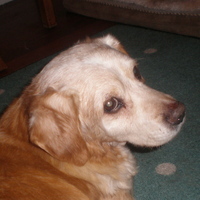 She is searching for a place to call home in her golden years, can you help this baby girl. She doesn’t ask for much and she will give so much in return.